the disastrous San Francisco earthquake. Benjamin Banker would be proud. because it requires so much. Constant commitment. Unwavering focus. Years of cultivation. Every brand wants it. estate professionals, he formed his own company. President. Tom Gray is the COO. The firm joined Coldwell Banker Corporation as a franchisee in 1983. Today, Coldwell Banker Schmidt Family of Companies is a fifth generation real estate firm and is one of the largest and most successful Coldwell Banker affiliates in the country. THE STORY WE TELL is built on the events, moments and experiences that make home so undeniably special. H A P P I N ES S An emotion that moves the soul. Our dialogue with customers begins with an understanding of what home means to them. COMFORT Our technology gives us the power to share it. CORE VALUES “ Coming from an ownership position in a small boutique real estate firm, I am so pleased with the decision that was made for the Schmidt family to purchase our firm. The tools of the trade and the expansive network have helped turn my business into a roaring success. Moving from a Manager/Recruiter/Salesperson to be able to fully concentrate on my core business of real estate sales has been a real bonus for me. My previous company was small and we couldn’t provide many of the “back-room” basics which were critical for an agent to succeed. Coldwell Banker Schmidt Family of Companies is always looking forward and incorporating the best in the marketplace for the continued success of its agents.” - Pat Vredevoogd Combs, REALTOR ® Pat sold her company to Schmidt Family of Companies in 2006. The following year she became President of the National Association of REALTORS (NAR). She returned to Schmidt Family of Companies after her presidency and is a top agent in the Grand Rapids area. Our core values work together to create a steadfast foundation in an ever-shifting world. TRUST TRANSPARENCY VISION Be able to do whatever you ask of anyone else. Understand where limitation ends. Know where opportunity begins. Be transparent in your intentions. Inspire trust through honesty. Bring levity with humor. Our agents understand the true value of home and have a constant pursuit of providing exceptional service to our clients. They are innovative and open to new ideas about expanding the way they do business. And we are here to support them as they continue to evolve and grow. In us they know they have a strong advocate and the strength of the best premium brand in the world behind them.â&#x20AC;? Our culture is all about initiative, honesty, loyalty and servant leadership. These core values are the fabric of the exceptional people that have dedicated themselves to performance and ethics at the Schmidt Family of Companies and I am incredibly proud to be a part of their team. Good people want to be around good people and I believe our team is a testament to the fine people who have been a part of our past.â&#x20AC;? 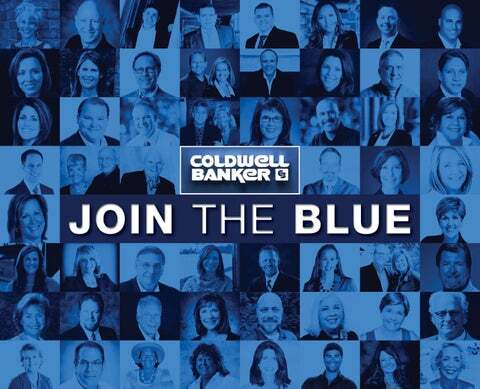 The Schmidt Family of Companies affiliation with Coldwell Banker has greatly enhanced our consumer reach, brand recognition, innovation and credibility allowing for a better consumer experience and greater opportunities for our agents. Home is the true American dream and we continue to strive to create an exceptional experience when buying or selling through competent, ethical and dedicated agents. Providing value and servicing the needs of our agents and clients is always top of mind in everything we do.â&#x20AC;? the work we put into the communities we service and beyond. We have established relationships with the American Red Cross, the Marine Toys for Tots Foundation, Adopt-a-pet.com and many localized charitable foundations and causes our Associates find close to their hearts. Since Coldwell Banker HeroesSM was founded six years ago, the Coldwell BankerÂŽ network has donated over $22 million to local charities along with over 155,000 hours of volunteer work. OUR AGENTS ARE THE SOURCE OF OUR STRENGTH; SELLERS ARE THE SOURCE OF THEIRS. These are the truths that drive our relentless development of the industry’s best programs and platforms. We create tools that ensure every seller has the power their home deserves. productive force of real estate professionals. It’s the number one reason why Coldwell Banker University® (CBU) goes beyond the practice of selling real estate to the art of running a smarter business. LAUNCH PAD Coldwell Banker Agents are setup for long-term success in real estate with Launch Pad. This instructor-led course is designed to introduce our agents to best practices and resources which can be at the core of your long term success in real estate. Launch Pad focuses on the following areas: Office Orientation, Forms, Seller and Buyer Training, Technology and Digital Media Training, Business and Marketing Plans and much more! Mentors are available with local area expertise which will help guide you in applying what you learn to your own business. Are You All In? Are you committed to acquiring the skills and know-how to propel your real estate career to the next level? Itâ&#x20AC;&#x2122;s time to Launch! ACHIEVE MAXIMUM PRODUCTIVITY Get AMP’ed! AGENT PRODUCTIVITY TRAINING PROGRAM How did agents set 10.5 appointments in 4 weeks? AMP! is the Coldwell Banker productivity training program. Just consider this... the average participant in the course successfully set four client appointments, while those who actively followed the AMP! course model set 10.5 appointments in just 4 WEEKS! The program includes live classroom instruction, self-paced modules, as well as online and interactive learning, all designed to turbocharge agent effectiveness through the tools and strategies that the “best of the best” use to drive ever-stronger results. LU X U R Y CERTIFICATION A NEW EXPRESSION OF LUXURY AWAITS The certification course has been designed with excellence in mind, taught by those who work daily in the luxury market, providing you with the knowledge and tools to enhance or begin your career in the luxury market. Any Coldwell Banker agent may take the course and become a Member with The Institute for Luxury Home Marketing. Dashboard: Find it fast with quick links to all of the tools and resources available to you. Webmail: Your online portal to your Schmidt emails. Agent Websites: Personalized website builder. Leads & Stats: Reports on your properties and agent website; traffic, participation, webscore. Resource Center: Extensive Video tutorials for all Schmidt tools available to Associates. Storage: Secure File Sharing and Storing for Company, Office and Personal files. Including regionally customized Listing Presentations, Marketing Flyers, Logos, etc. The leaders of the Coldwell BankerÂ® network fuel our constant pursuit of innovation. We go outside our industry in search of advancements that we can apply in unprecedented ways. The Coldwell BankerÂ® Brand IS THE #1 MOST-VISITED REAL ESTATE BRAND ONLINE. COLLABORATION INVOLVEMENT PARTICIPATION These are the driving forces behind coldwellbanker.com that give everyone involved more power to achieve their goals. Sellers, with guidance from their agents, are now able to share what makes their home so uniquely special by uploading photos, a video and stories of the memories made there. Buyers are given the freedom to virtually invite friends and family to supportively participate in the life-changing experience that is buying a home. Agents gain real-time access to buyer feedback and seller input, giving them unprecedented flexibility to adapt, respond and outperform competitors. This proprietary app is a game changer, giving our agents the power to easily create a customized marketing experience for each and every seller. From arriving at the right market value to creating an ideal buyer profile, CBx not only assists agents in evaluating each home based on a spectrum of criteria but also helps them to determine where potential buyers are located. At its core, CBx is visualization of big data. The power of CBx is at the fingertips of our agents, who can tell the story of a home to sellers like no one else. 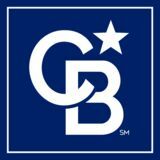 Welcome to CB Exchange, a state-of-the-art platform with one mission - to make connecting with the Coldwell Banker brand easier than ever. CB Exchange provides immediate access to the most up-to-date content and tools to help you run your business smarter and make better decisions every day. Whether youâ&#x20AC;&#x2122;re in the office or on the go, the Coldwell Banker world is now at your fingertips. CB Zap helps identify the hottest prospective buyers easily and quickly. the data into a singular ZapScore â&#x20AC;&#x201D; an unprecedented tool that predicts who is going to transact business, empowering agents to reach out at the right time to close the deal. their business, helping to guide business growth. identifying prime opportunities to invest, hire, train and expand. TRANSACTION MANAGEMENT SYSTEM Never get stuck running to the office to scan a contract again. Coldwell Banker Schmidt Family of Companies provides premium access to an electronic transaction management system for every agent. This allows the paperwork associated with a multi-party real estate transaction to be completed through a proprietary online network. Whether youâ&#x20AC;&#x2122;re on a showing, in a closing or on vacation, youâ&#x20AC;&#x2122;ll still be able to conduct business from anywhere with clients located everywhere. LISTINGS TO LEADS Listings To Leads is a service paid for and provided by Coldwell Banker Schmidt Family of Companies. L2L allows agents to automate their property marketing. Every tool provided in this program generates leads while your properties are marketed. Unlimited customizable seller lead generation landing pages for Facebook, Google, Wordpress and Postcards. Automated YouTube video creation, virtual tours, Craigslist posting tool, eFlyers, toll free info lines and short codes (text messaging) for every listing. brand’s social media is about building relationships that endure. We provide our followers with a range of content, from tips for pet owners to updates about the latest home technology. It’s everything that strengthens the bond we share. new listing to your sphere of influence, organic leads, local agents and brokerages. With CB eMarketing Listing Automation, a Just Listed eCard and Jumbo Postcard will be automatically created for all of your listings. ü An email is sent to you that includes a link to the eCard and directs back to CB eMarketing to quickly and easily distribute via email and social media. ü Easy link to “Print It Yourself” via Xpressdocs for your Just Listed postcards. marketing activities. Rebuilt from the ground up, it is now easier than ever to manage your contacts and create, send and optimize your email campaigns in one central location. ü Over 350 print and social media templates are available in the eMarketing content library. in technology, lead generation, relocation/referrals, and personalized marketing to help our agents reach their personal goals in an environment that is geared towards success. COLDWELL BANKER COMMERCIAL® A brand as extraordinary as you are, dynamic, driven, and success-oriented. Global presence. Local power. You’ll rise to the forefront of your specialty whether industrial, retail, office, or agriculture. Tools that make the best agents even better. From lead generation to referral programs, we’re behind the scenes supporting every transaction. A world-class website and iconic brand working non-stop to enhance your exposure. Let big data open more doors. From targeted marketing to deal support, our tech platform helps you harness big data for high-impact results. With 3 million annual page views, CBCworldwide.com was built around what clients do most: search for properties and locate offices. Our Blueprint portal delivers resources to boost every aspect of your business. Coldwell Banker Schmidt Family of Companies is ranked in the top 5% of all Coldwell Banker Commercial affiliates nationally. COVERING THE SPECTRUM OF HOMES Our ability to market extraordinary homes is a testament to our unending commitment to excellence. From our exclusive video series to best-in-class editorial and social media coverage, our portfolio of tools is as vast as the range of homes they help sell. The “Home of the Week” video series is featured on the top-ranked Coldwell Banker® YouTube channel, posted to our Global Luxury blog and shared with social advertising targeted specifically at high net-worth individuals. The Global Luxury Listing Presentation is artfully designed and written to highlight the spectrum of tools, platforms and media partners that elevate our luxury marketing to an art form. Representing the country’s most expensive homes Coldwell Banker® Luxury Property Specialists listed two of the top five most expensive properties in the U.S.
$1.9 MILLION FOR $1 MILLION-PLUS HOMES IN 2017 Average daily sales. Data based on closed and recorded transaction sides of homes sold for more than $1 million (USD$) or more as reported by the U.S. Coldwell Banker速 franchise system for the calendar year 2017. LU X U R Y There’s no place the Coldwell Banker® sign is more at home than in front of many of the world’s premier luxury properties. The Coldwell Banker Global Luxury® Program is among the most successful names in high-end real estate, powered by agents in 47 countries who deeply understand this unique market’s intricacies and clientele. It’s why we had over 28,000 transaction sides of $1 million-plus properties annually. Proprietary tools such as the flagship Homes & Estates magazine (on newsstands across the globe), a luxury certification course created with the Institute of Luxury Home Marketing and an unrivaled international referral network are just a few of the reasons why the Coldwell Banker Global Luxury Program is a truly extraordinary force in the luxury space. For the agent with a desire to enter this exclusive market, there is no partner better suited to bring you success. PRINT 40,000 Direct Mailed: •	Home value OVER $500,000 throughout the state of Michigan. •	Targeted high-end neighborhoods throughout Florida, northeast Ohio, greater Chicago area and northern Indiana. •	Crain’s Business List for Cleveland, Detroit and Chicago. •	Distributed at Coldwell Banker Schmidt offices in Michigan, Ohio, Florida and U.S.Virgin Islands. is on display in our offices with large TV screens. The Coldwell Banker® brand is a true global force, with the power to showcase exceptional properties and reach affluent buyers around the world, and in dozens of languages. HOME IS MORE THAN WHAT WE SELL. HOME IS WHO WE ARE.